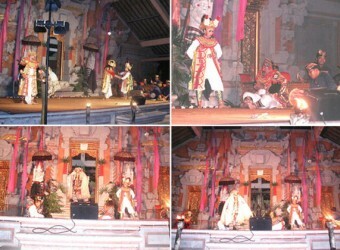 Bali Traditional Tour This story is Indian epic "Mahabharata", and Raja Peni Dance Group performs the introductory chapter. It is started from 6 Sisian dancers. Evils in the story Croix ask to Goddess Durga to destroy the kingdom of Raprasta in India where 5 worriors are living. Durga send her retainers to Raprasta.